​I'm David Hogarth and I run Walton Coaching and Hypnosis. I am an honours graduate, qualified clinical hypnotherapist (HPD) and practitioner of Neuro-Linguistic-Programming. I trained at the world renowned Anglo European School of Therapeutic Hypnotherapy. The HPD is currently the only UK Hypnotherapy Qualification that meets the National Occupational Standards. 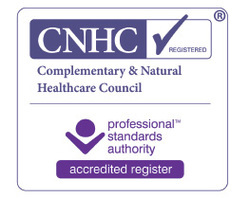 ​​I’m registered with the National Council for Hypnotherapy (NCH), the Professional Hypnotherapy Network and the Complementary and Natural Healthcare Council (CNHC) and abide by their strict Code of Ethics and guidelines relating to client safety and confidentiality, supervision and ongoing training. I am a certified Mind Factor coach having studied with Karl Morris one of Europe's leading mind and PGA golf coaches. I have extensive business and career coaching experience developed in the business environment over the last 30 years. I have had an active interest in and personally used hypnosis for the last 10 years. The practice is in Walton on Thames, Surrey, a few minutes walk from the main railway station on the line which links the South West with London. The practice has full professional and public liability insurance.